Instructions for using Self-Service specifically for students. If you have any questions regarding registrations, please feel free to contact the Office of the Registrar or your Academic Advisor. Be sure you are logged into Self Service. Click on Find Courses located in the body of the webpage. Change the Period filter to the current registration period (Year/Term) otherwise you will get both Spring and Fall information. Click Search to see all courses after selecting the period, then choose a department from the Department drop-down list, or click Advanced Search to use selective criteria (like Department, Meeting days, Instructor, etc.). – To see more than 10 courses at a time, change Results Per Page to 100. Once you have located the course of your choosing, click on the Add button located on the far right hand side of your screen. This will add the course to your Cart but will not register you. Continue this process until your preferred schedule is complete. start on October 17 and the section codes are M, N, O, and P. You can use October 17 as an advanced search criteria to view all second module classes. 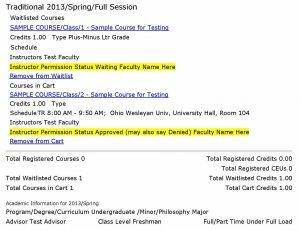 If you encounter a course that requires permission, please see the permission request instructions here. If you encounter a course with a waitlist, please see the waitlist instructions here. Click View Cart in the popup window. advisor will not be able to access your information in the system. Go to the Classes tab. Click on the Schedule link underneath of the tab. Make sure the box is checked for Courses in Cart! You should now be able to view the courses that are in your cart and remove them, by clicking ‘remove from cart’, if necessary. If you add a course to your Cart that requires permission, a pop-up window will appear at the top of the screen. If you would like to ask the instructor for permission to add the course, select the Request Permission button in the pop-up window. A larger window with a Comment section will appear. Type your request in the Comment section of the window. Be sure to include details as to why you feel you are prepared to take the course. Please note, not all requests will be approved and you may be asked to meet with the instructor in person to discuss your qualifications. Once you are satisfied with your request, select the Send Request button at the bottom of the window. Be patient, it may take a few seconds for this to process. The instructor will receive a notification containing your comments. At that point, they have the option to approve or deny your request. Remember, you must have authorization from your advisor and your registration window must be open before the course can be added to your schedule. Select Traditional Courses from the menu line located beneath the tab. Click Next at the bottom of your screen. You will need to click the Next button three times in order to register. If a course is full, the Add button on the right side of the screen will change to Wait. Submit your Cart during your registration window (see instructions below). Note: You will need to check the wait list daily to see if you have been allowed in the course. The system permits 48 hours for a student to respond to the wait list approval. After that time, the open seat will be offered to another student. The portal must be open in order to register for a wait listed course. Click Next at the bottom of your screen. You will need to click the Next button three times in order to register. If you do not get the “Congratulations” screen, then the change in registration did not go through. When viewing the Cart, click on Register. Note: You will not be able to see courses in the Schedule tab until you have registered. The registration term will not be an option until you actually have courses in your schedule. View the list of Courses to Add and the list of Registered Courses. If there are errors in the registration (conflicting courses or missing co-requisites), you will be notified and given the opportunity to add or remove courses from the cart. 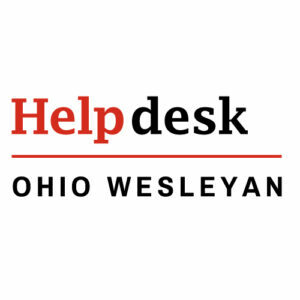 Log in to Self Service at campus.owu.edu and click on the Registration Tab. Click the Traditional Courses link on the bar below the tabs. To add courses, click on Section Search located on the left side of the screen under Related Links. Perform the course search as normal and click the add button on the right side of the screen to place the course in your cart. If you added a course or courses, you will again need to click on the Registration tab and choose Traditional Courses. This will take you back to the cart. 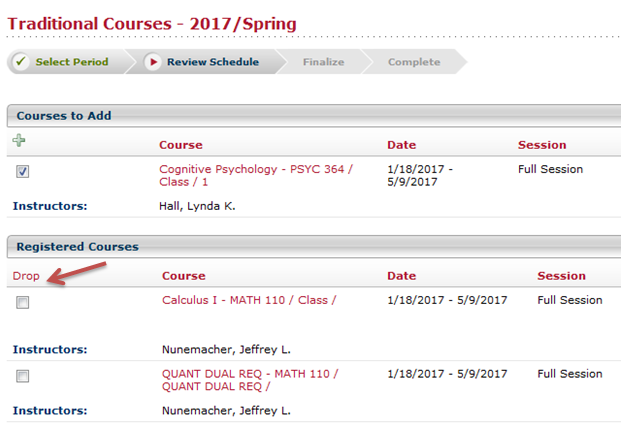 If you are satisfied with your course selections, click the Next button on the bottom right of the page. This will take you to the Review Schedule page. If not, return to step 3. Select the Next button a second time. This will take you to the Finalize screen. Once again, click on the Next button at the bottom of the page. Note: You will click on the Next button three times in order to complete the registration process. You are not registered until you complete this step. If you do not receive this message but your cart is empty, check your registration by clicking on the Classes tab and selecting Schedule link on the bar below the tabs. Click on Student Schedule. Select the current registration term (Year/Term) from the Period drop down if it is not already indicated and click on the Submit button. If you have registered successfully, your schedule will appear. You may click on the Waitlisted Courses button to view those currently on a waitlist. Student can check the status of a waitlisted course or permission request by following the instructions below. Select Schedule from the menu line located beneath the tabs. Select Text from the menu on the left side of the screen. The grid option will not provide you with the status of your requests. Change the Period filter to the current registration term (Year/Term). 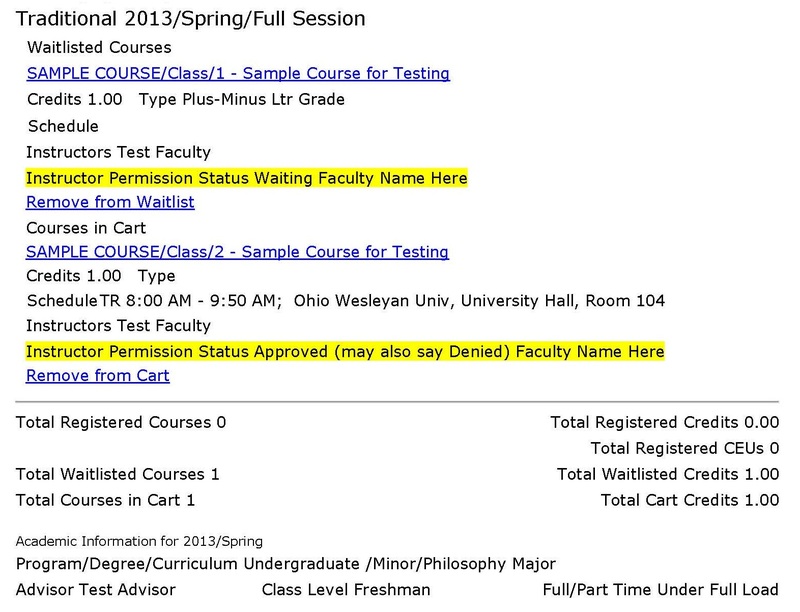 Check the boxes next to Courses in Cart and Waitlisted Courses. The status of each course is listed at the bottom of the course information. See the samples highlighted in yellow below. Click on the Register tab along the top of the page. Use the checkbox to select the course to be dropped. If you place a check mark in the box to the left of the course title under the word Drop, you will be removed from the course. See the screen shot below. Please do not place a check mark next to the courses you would like to keep on your schedule. We have had several students drop all of their courses in the past few days because they placed a check mark next to all of the courses for which they were registered and hit next without reading the warning prompts. To view your schedule after you have registered, select the Classes tab and choose Schedule from the menu line. Make sure the Period is set to the current registration term (Year/Term). If you have courses in your Cart or on a Wait list, you can see them by checking the boxes beneath the Period drop down box and clicking the Submit button. You can see the status of your permission requests by selecting the Classes tab and then the Permission Requests option beneath the tabs. Change the Period to 20xx /Fall or, if you have not placed items in your cart or registered, select 20xx /Spring. The system will not allow you to select a term for which you are not attempting or currently registered. Your advisor name and your class level will be located at the bottom of your text schedule (it is not available under grid). How Do I View or Print My Schedule? Log into OWU Self-Service from the Student menu on the OWU web site or directly at campus.owu.edu. Click the Schedule link that appears below the tabs. Click the Student Schedule link that appears below that. You may then switch between Text and Grid views. To print your schedule, use the Print function on your web browser, keyboard shortcut: Ctrl+P on Windows and Command+P on Mac. How Do I Find Textbooks for a Class? Here are a few helpful hints for searching the Schedule in OWU Self-Service at campus.owu.edu. 1) Make sure you are in the Section Search tab NOT the Course Catalog tab. The Course Catalog will not show you the schedule information you need to register. Be sure to select registration term from the Period filter (Year/Term). 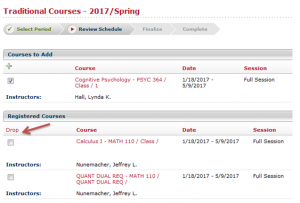 There is no longer a separate listing for first and second module courses. 2) Keywords Search – This section is designed to help you locate a course for which you do not have a course code. Keep the search criteria brief as many of the course title have been shortened to fit in the space provided in OWU Self Service. For example, try entering “intro” instead of “introduction” or “psyc” instead of “psychology”. Typing in a course code here will not give you a listing of all courses in that department. It will give you a list of courses with your criteria in the title or course description. See the Course Code search option for this type of query. 3) Course Code Search – This query is designed to provide you with a way to look up courses by the alpha numeric course code (e.g. PSYC 210). You may also do a general search for “PSYC” to call up all courses listed under that particular department. If you are unsure of the alpha code used for a particular department, you may use the Department search located under the Advanced Search tab. 4) Refine Search – Use this menu option located on the left side of the screen if you would like to add or subtract criteria from your search. This will prevent you from having to enter all criteria a second time. 5) New Search – Once you have completed your first search, you will be able to select the option New Search or Refine Search located on the left side of your screen. This will start a new search process or simply change one or more of your search criteria. 6) Second Module Search – To search for second module courses, go to the advanced search option in self-service, select Spring 2015 for the period, and enter 03/16/2014 in the Start From box. This will give you a listing of all courses available for the second module. Please note all modular courses say Full Session even though they only meet for half of the term. 1) Status – You can search for courses that are Open, Closed, or with a Waitlist by clicking on the drop down menu next to the word Status on the Advanced Search page. Selecting Open will query only those courses available for enrollment. *NEW* 2) Advanced Search by Distribution Requirement – If you would like to see all courses available for a given Distribution requirement, go to the Advanced Search tab and scroll to the bottom of the page. Click on the drop down menu for General Education and select Group I, Group II, Group III or Group IV. BOMI/ZOOL 120, 122, and 270 courses have the new BIOL course code. If you are having problems locating Introduction to Cell Biology, Organisms and their Environment, or Genetics, please be sure you are using the new BIOL code. EMAN – All EMAN courses are now listed as BUS. Classics courses listed under the HMCL code have changed to CLAS. The Greek (GREE) and Latin (LATI) codes remain the unchanged. All Comparative Literature courses with the HMCL code are now listed as CMLT. If you have any questions regarding registrations, please feel free to contact the Office of the Registrar or your Academic Advisor. Log into your OWU Self service account with your OWU username and password. Select the “Finances” tab along the top of the page. Click “current balance” located in the tool bar at the top of the page. Under the “total amount due”, you will see payment options. Click the option you would prefer and follow the instructions given to make your payment.